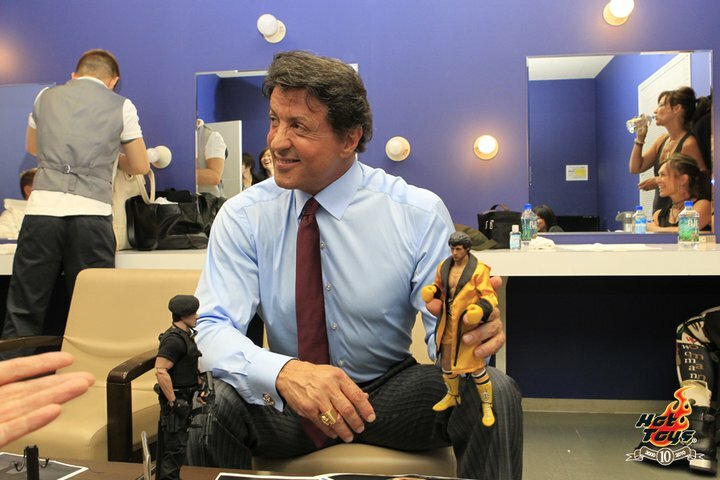 Hot Toys was at the premiere for the hit action flick The Expendables in Tokyo. 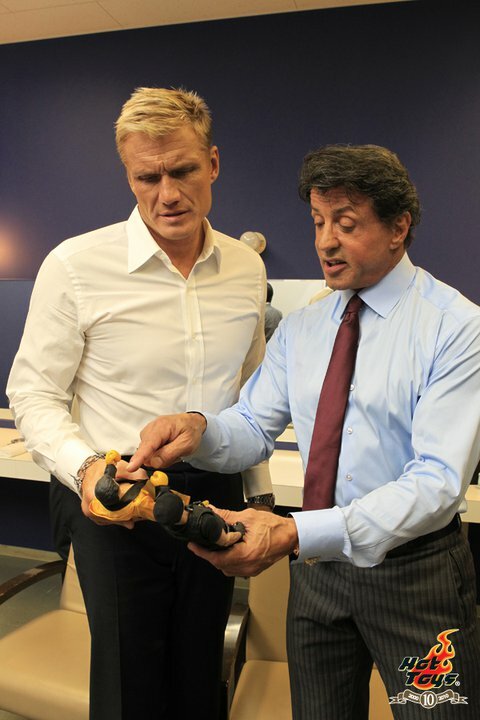 At the premiere, they were able to catch some shots of Sylvester Stallone and Dolph Lundgren checking out the Hot Toys Barney Ross and (older) Rocky figures. 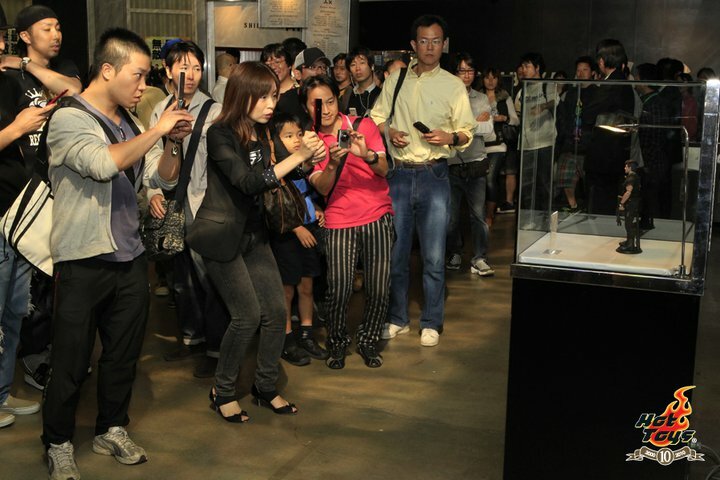 The photos were posted on their Facebook Page. They also posted an interview, but it’s in Japanese. See the pics by clicking the headline of the story. 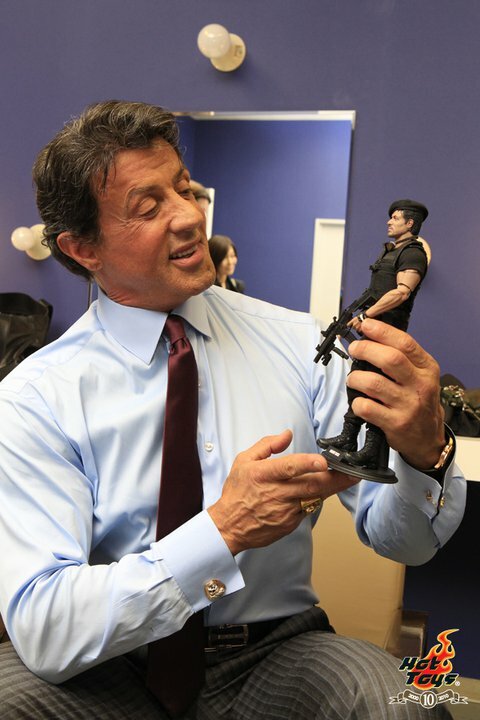 boy, Stallone looks really sold on those figures. 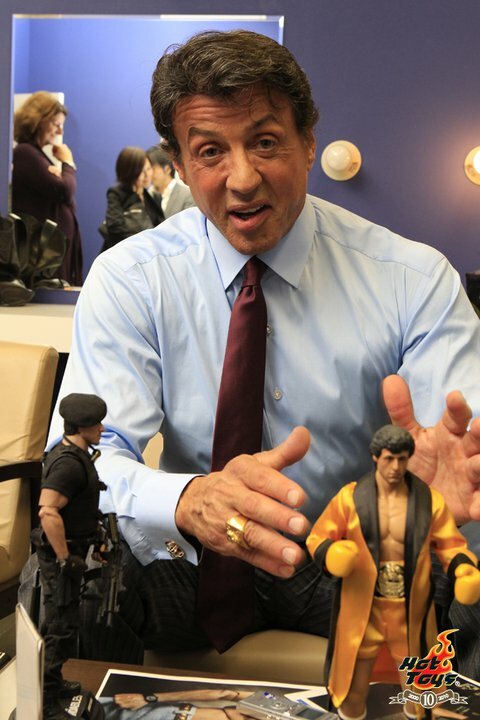 Hot toys has really proven their the best at what they do. 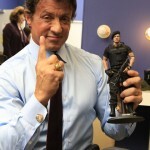 Man..I hope they make a Rambo IV and V version! V sounds like it will be beast. 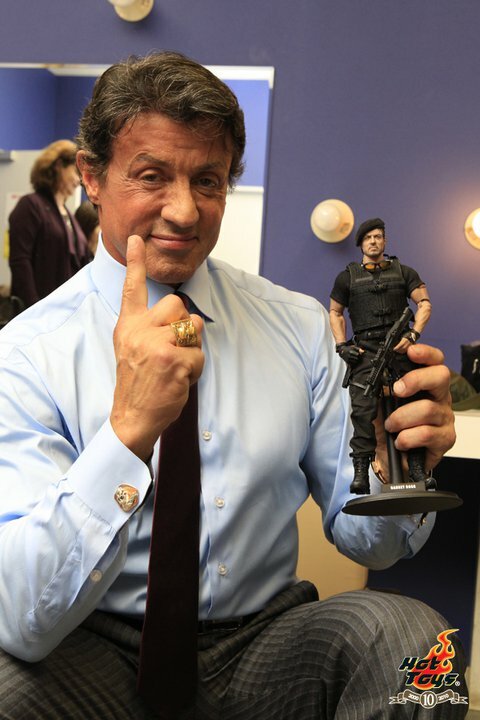 Hot Toys has come a long way. things like this make me smile. Is tha Dulph Lundren(SP?) in that one pic? 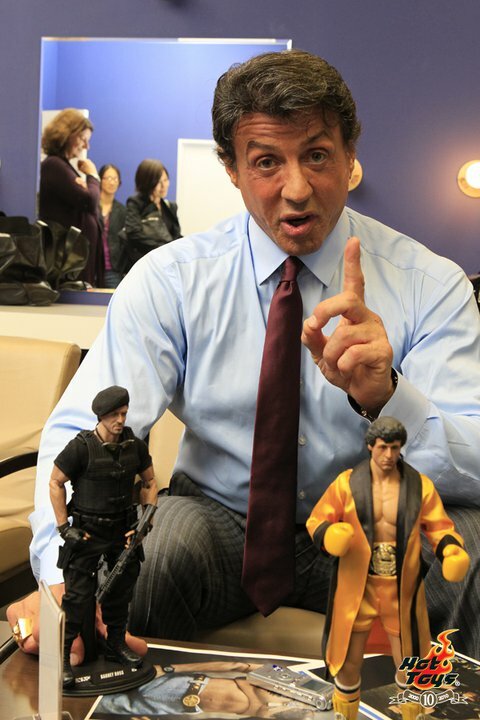 They should make him as the Russian boxer. "I will break you..."